As mentioned in the main article, it was required to analyze the HTTP/HTTPS, SMB, MS SQL protocols and see how exactly they behave over the network. In order to run such analysis it was necessary to build an isolated network setup. 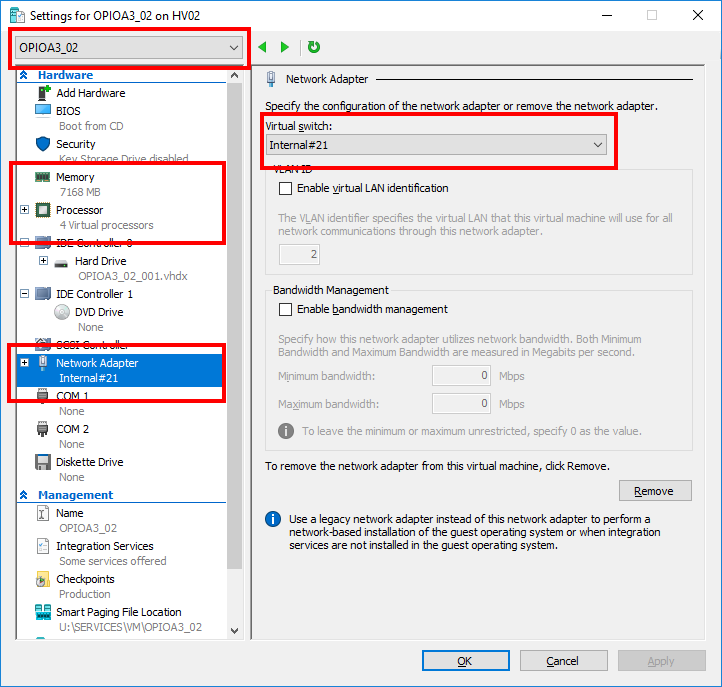 I actually provisioned two Hyper-V VMs (named: OPIOA3_01 and OPIOA3_02), I configured each VM with 4 vCPU, 7168 vRAM and one 10 Gbps virtual network adapter. 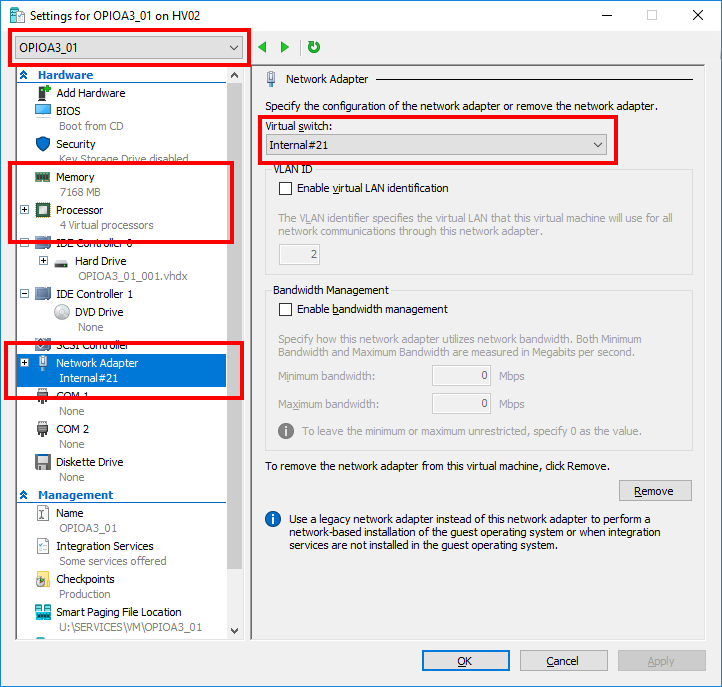 After that, I connected these two VMs to a Hyper-V Internal Network Virtual Switch. To have the minimum influence over the results, for the duration of all these tests the Windows Firewall has been deactivated and no additional applications have been executed in parallel. 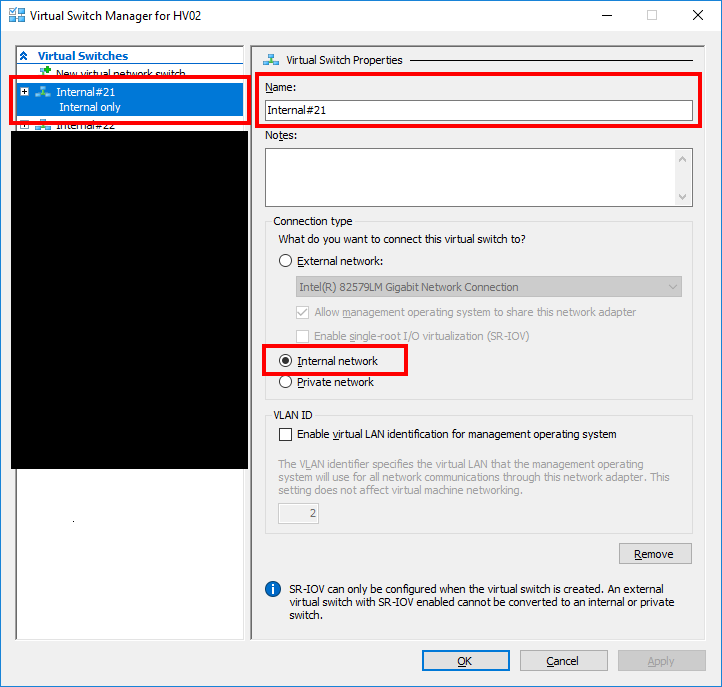 Because the VMs and the Internal Network Virtual Switch have been hosted by the same physical server, that meant the network traffic hasn’t passed any physical network -> the setup allowed to use the network at maximum. In addition, this setup offered enough isolation to perform PING, SMB, MSSQL and HTTP/HTTPS network analysis – in such way to define the IOmeter benchmark tests that reproduce as close as possible that kind of network traffic.